Shah, Sean Ellis and Patrick Vlaskovits were discussing how traditional marketing wasn’t cutting it anymore. They observed that the ‘new age’ strategies used by them to accelerate growth for their own products were very different from the standard marketing approach prevalent at that time. This conversation took place seven years ago. Since that time, a bevy of ‘new age’ strategies have taken shape and helped spur massive growth for the companies using them. We’ve identified 17 growth strategies adopted by today’s trendsetting apps to gain mileage and supercharge their growth. App marketers can evaluate these strategies and visualize a stage in their growth funnel where they might fit. App marketers can learn a lot from these strategies; they are nimble and have a simple ‘copy & paste’ approach due to their fluid nature, so can be put into action instantly. Airbnb is one of the most successful apps of our time; it has revolutionized the way people stay. Statista, a leading statistics company, conducted a study on year-on-year download volume of popular apps worldwide and found that during the measured period (May 2016), Airbnb’s mobile downloads increased by 31.7% as compared to the corresponding month in the preceding year. A key growth strategy used by Airbnb is In-app referrals or mobile app referrals. 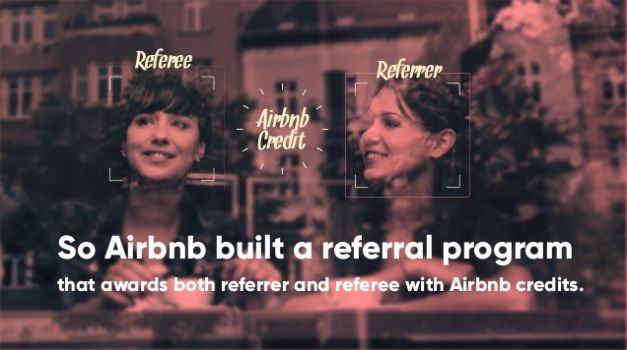 Airbnb built a referral program that incentivizes both the referrer and the referee with Airbnb credits. After implementing In-app referrals, Airbnb increased their user signups and bookings by over 300%. Statistics show that 83% of users trust reviews and recommendations from friends. In-app referral campaigns have helped apps scale faster growth due to its viral nature. Music buffs swear by the Spotify app, which has been at the forefront of technology and the subscription model, making it the first choice for users around the globe. In January 2015, Spotify had 15 million paying users (now 50 million) and 45 million free users, largely as a result of its forward-thinking approach to marketing. 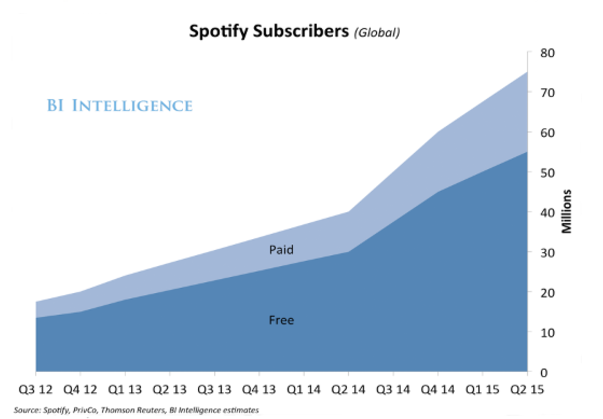 How did Spotify attain such massive growth? Spotify uses the principle of exclusivity to acquire early users in every country into which they are about to launch. They do so by offering an ‘invite only beta’ to users. The hype associated with the app is contagious, and an invite-only growth strategy creates a frenzy. People either have to wait for an invite or pay to get access, a situation which tilts in Spotify’s favor. Additionally, many beta users are influencers and tech reporters, which adds to the buzz and anticipation. Acquiring new users for your app is pretty hard and often requires hefty marketing spends. But by creatively using simple growth strategies with a psychological bend, such as the exclusivity theory, you can attract numerous early users to your app. App marketers face daunting challenges in the early stages of app development. There’s low market awareness around their product, and slow growth tends to impact overall engagement and retention numbers. One of the best growth strategies for early stage app marketers, therefore, is the early adoption of technology that can influence the growth trajectory in a positive manner. HotelTonight adopted this approach to stay ahead of its competitors. They used deep linking as part of their app install ad campaigns, removing several steps from their purchase funnel. Many marketers lean towards SEM and keyword driven app install campaigns to attract new users and increase app downloads. It’s a great opportunity for them to let users access their content. However, the traditional format is extremely cumbersome, and users drop off because they need to take numerous steps before they get to access the content they want. This adds unnecessary steps for the user, and they often drop-off. In the case of HotelTonight, though, deferred deep links allowed the users to access information even if they haven’t installed the app, thereby preventing such drop-offs. Deferred links first redirected the user to the app store and then immediately provided them the “deferred” content. By using deep linking in their Adwords campaign, HotelTonight increased their app install number (80%) and reduced the cost-per-install number (16%). They were also able to increase the app’s install-to-booking conversion rate by 18%. Deep Linking is a fantastic growth strategy that can be used in many different ways – from ads to emails and various other formats – and aids a user with a friction-free experience. It also helps simplify access to in-app content, and it boosts engagement and retention numbers. By implementing unique technology, many app marketers can beat the competition in innovative new ways. While the growth strategies mentioned above can be kickstarted at a marketing and product level, a few require attention at the frontend. App brands that have design at the center of their growth tend to do better, as these apps are designed with the users’ experience in mind. Tinder’s app design tends to complement the ‘thumb zone’ – the comfortable area for touch on a mobile screen, as coined by designer Steven Hoober in his book Designing Mobile Interfaces. The use of gamification and an innovative left-right swipe feature keeps the users hooked to the app as it urges them to continue swiping until they find a match. Using Tinder is easy, fun and addictive. Given their success, it isn’t surprising that Tinder’s innovative product design has been aped by numerous other apps in an attempt to replicate its growth. Design is crucial for growth since it is closely related to a user’s overall experience. By prioritizing design in your app you not only provide users an experience that sits well with their expectations, but you also end up empowering your app growth. Duolingo, the language learning app, is able to achieve onboarding excellence by improving its flow. “Onboarding is supercritical! We spend a significant amount of time thinking of ways to improve that because if you can’t onboard a user… then… what’s the point on working on anything else further down the line? It’s where your funnel is thickest and where you’ll get the biggest bang for your buck in terms of optimizing. Most successful mobile apps have a clear cut focus for onboarding and so can retain app users for a longer period. There are umpteen ways to simplify an app user’s onboarding experience, most of which aren’t too difficult to implement. A pink mustache logo, a fun vibe, and endearing brand positioning – there’s a lot that makes Lyft stand out. But that might not be enough. Lyft had a clear strategy when it came to growth, and a lot of it had to do with building a strong community of users. When Lyft launched its app, the market was already saturated with UBER – a competitor who had everything going right for them. The word-of-mouth around UBER was strong, which led to millions of app downloads, and Lyft had to battle stiff competition. That’s where the power of an engaged community helped them secure a pivotal position in the market, not only at the driver level but also at the end user level. “The day we launched Lyft, we took a big bet on the power of community. Strangers riding together in their personal cars was a radical idea, and to challenge the status quo, we didn’t just need a new technology — we needed people to embrace the idea of being there for each other. The morning we went live in San Francisco, an unusually clear day in June, I held my breath and wondered how people would react. Clearly, a sense of community is at the heart of the brand. It is surprising that even though UBER enjoys higher app downloads, Lyft users are more engaged. The faith of its community has also helped Lyft emerge as a winner on the app charts as its competition is falling down. Numerous businesses are using the power of community to increase product awareness and engagement. Mobile app marketers can also leverage this innovative growth strategy in numerous different ways, such as building a community of users, a Facebook group or a Slack channel. Canva is one of the most sought after design tools on the web and is a great example of phenomenal growth. With the popularity of its web app skyrocketing, Canva users are increasingly demanding a mobile app as well. The team also noted that the Canva iPad app has been downloaded over 2 million times, with significant traffic also coming from other Apple devices. By offering a mobile app, Canva is able to provide an omni-channel experience which satisfies its users. This is a one-of-its-kind growth strategy. Canva’s iPhone app directly competes with hundreds of image edit apps, but by introducing standout features, such as the live camera option, Canva stays relevant to its users. Frequent app updates and addition of new features is an effective growth centered tactic. It shows users that you are committed to the development and that they have done the right thing by downloading your app. App marketers should look at their data and consult users about improving existing features and developing new ones. Despite having a data-driven approach, many app marketers give undue emphasis to vanity metrics and end up tracking too many things they can’t make sense of or apply. This is why the VSCO team wasn’t able to make informed growth decisions and was unable to add new features and improve engagement. Their data was messy and confusing. The VSCO app helps users create, discover and connect through images and words. If you are an Instagram user, chances are that you identify the hashtag #VSCO and its massive popularity. If you need to grow, you need to know your data – that’s the number one growth advice that app marketers live by. Additionally, the data that’s tracked should be meaningful for your app business and should help you plan the right strategy. VSCO applied this to its analytics and was able to grow its user base to over 30 million users. Invest in understanding your app user data. This will help your app grow faster. John Egan, Growth Engineering Manager at Pinterest, believes that the basis of a successful growth model is understanding how your key metric is defined and what elements it can influence. Activation, churn rate, and retention are key parameters for Pinterest’s active users. For a lot of app marketers, these numbers depend on whether a user gets to see value in the product. By aligning their growth model to a key metric and understanding how it can impact a user’s decision, Pinterest has been able to tweak their strategy and make meaningful growth calls. Understand your app’s true growth levers and align your initiatives to that metric. Despite a dynamic change in marketing, what remains constant is that users continue to buy things that are recommended by family, friends, and people they meet or follow online. Social influence has impacted the way we view things and the opinions of others matter a lot to us. The same is true about mobile apps. Research done by Tune shows that 70 percent of people have seen or heard of an app at least once prior to installing it. For almost a third, they’ve seen or heard about it more than three times. That’s especially true for women. A good way to boost mobile app download is to use the ‘influencing’ power of friends, family, and opinion leaders. Avis- a car rental app wanted to simplify the process of renting a car extremely simple for its users. Instead of using ‘popular’ influencers, the Avis team collaborated with photographers, travelers, and storytellers – people that its user base could identify with. These people spoke about the AVIS experience across platforms and shared numerous AVIS stories on social media. This influencer marketing campaign resulted in 57,000 new app downloads. Users are constantly looking for validation from people around them. In a time when advertising is losing its charm, Influencer Marketing is a successful way to win customers. Lack of user engagement is one of the most common reasons for app churn. That’s why app marketers dabble with various new tactics to keep users appeased. 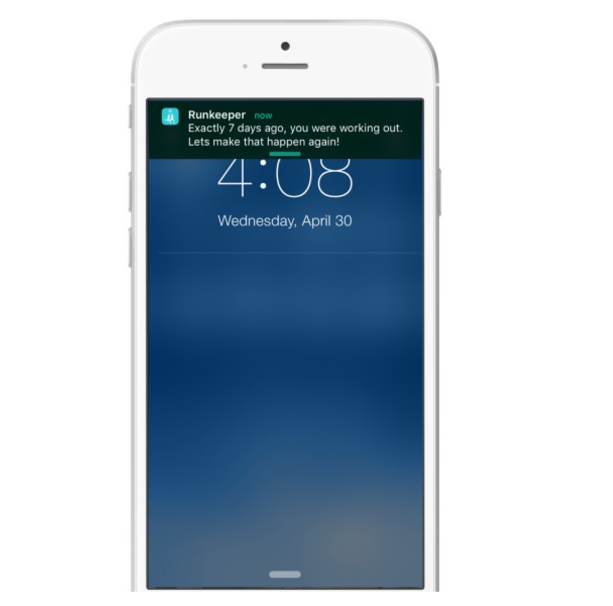 The Runkeeper app uses a robust messaging strategy in order to maintain sustained growth. This approach has helped the app maintain ‘stickiness,’ which is significant as most users do not stay with a health app for long as it requires an ongoing commitment from their end. Runkeeper understands the pain associated with this commitment and hence has developed a strategic messaging strategy which includes push notifications and in-app messages. The push notifications are welcoming, encouraging, and have a fun vibe. Its in-app messages, on the other hand, introduce users to new features designed to encourage app engagement. Push notifications, in-app messages, and news cards are examples of channels that app marketers can use to increase engagement for their app. Increased engagement ultimately translates into increased growth. The Yooroomie app helped users find a roommate, and while its team has pulled their app from the App Store, its growth strategy is still worth a mention. The team had a very limited app budget, so they wanted a growth strategy that required minimal input yet delivered a sizeable output. They used offline promotion to spread the word about the app and tap new users. They updated their business cards with printed app cards and added a catchy tagline on one side and the app URL on the other side. The team also distributed these cards at local meetups, popular hangouts and event spaces, resulting in greater product awareness. Offline outreach is one of the oldest growth strategies. However, app marketers need to adopt an innovative approach to reap maximum benefit from it. When two powerful partners join hands, it is usually a recipe for a win. It is also one of the most effective growth strategies, as used by Instacart and Yummly to their mutual advantage. While the Yummly app is used by numerous users to find recipes, Instacart is an on-demand grocery delivery app. Both these apps belong to the ‘food’ business category, and by joining hands they were not only able to provide a seamless app connect to their users, but also boost customer delight. By providing a direct path to the users, Instacart was able to significantly improve their 1-day retention number and purchase ratio. App based collaboration can be a real delight for users if executed smoothly. This strategy can also help marketers create organic word of mouth for their app. Adding or deleting app features without understanding your app user’s requirements can get you in a lot of trouble, like negative user ratings on the App Store. Given that most users look at user reviews before downloading an app, this could be detrimental to an app’s health. Allrecipes, a digital food brand, experienced this when they removed a feature while redoing their flagship app, Dinner Spinner. Their website data trends suggested that the ability to delete recipes from the ‘recipe box’ feature wasn’t being used a lot by web users, so they removed it from their mobile app. But app users rejected their approach outright, and the app’s rating plummeted from five-star to two stars. To win back their users, Allrecipes reached out to its users. By listening and acting on customer feedback, the app was able to achieve an 80% increase in their App Store ratings and maintain a 4.5 stars status. By getting consistent feedback from their users, app marketers can build a better growth model for their app. The Close5 app gives users a fun way to buy and sell products locally. The app works like a local classified; it helps users find items for sale in their neighborhood, and advertise their own items they wish to sell. The Close5 team faced the challenge of smoothly transitioning their mobile web users to their native app. The process was unwieldy, as ‘users who found an interesting product online had to search again for the item when they downloaded the app.’ Naturally, users found the process of installing and re-creating an account cumbersome. Not finding the products that they saw on the mobile site also added to their misery. To solve this, Close5 utilized mobile smart banners with deeplinks to simplify the entire user experience, resulting in increased engagement with their app. Building a seamless flow improves the manner in which users interact with your app, whether within the app or outside the app. 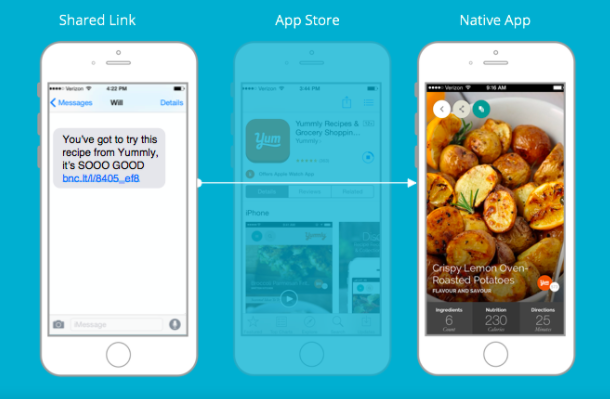 By improving this flow, app marketers can successfully increase their app’s user engagement. We’ve seen apps launch with great momentum but then die a slow death afterward. Various reasons can explain their downfall- one of the most significant being a lack of additional features on a consistent basis. Pocket App, which is widely used to save articles, videos and links to read later, continues to charm its users by introducing timely and useful features. Whether it is a feature that allows users to save copied links on a clipboard, or helps them resume reading/watching, or provides them with article recommendations, the Pocket app has it all. In the past, they’ve also introduced a ‘follow’ feature, which allows users to follow their friends or curators. Most users stay with an app only as long as they see consistent value in it. An addition of timely features increases this value. App marketers should constantly analyze their user data and consistently add valuable features to stay ahead of the competition. Many brands face a challenge when it comes to converting their desktop users into app users. Given that an ‘app first’ approach is fast becoming a norm, this may pose a serious hurdle for app marketers. When a user lands on Bank of America’s Mobile Banking landing page, it prompts the user to pick from a variety of simple and convenient options to download the app; there are no redirections or a confusing download flow. The approach that stands out with the Bank of America app, however, is the ability to download an app via a text message. The users are simply required to punch in their mobile number and the platform sends them a text message with a link. This is one of the simplest approaches to maintaining an ideal user experience. Making the download process convenient is a task that app marketers should prioritize at each level. By doing so they eliminate unnecessary friction faced by the user. However, by applying the strategies mentioned above, app marketers can significantly improve user acquisition, engagement, and retention – the three key factors that define growth for a mobile app.